Corsets, though worn on the inside, the design of it, however, is very beautiful. 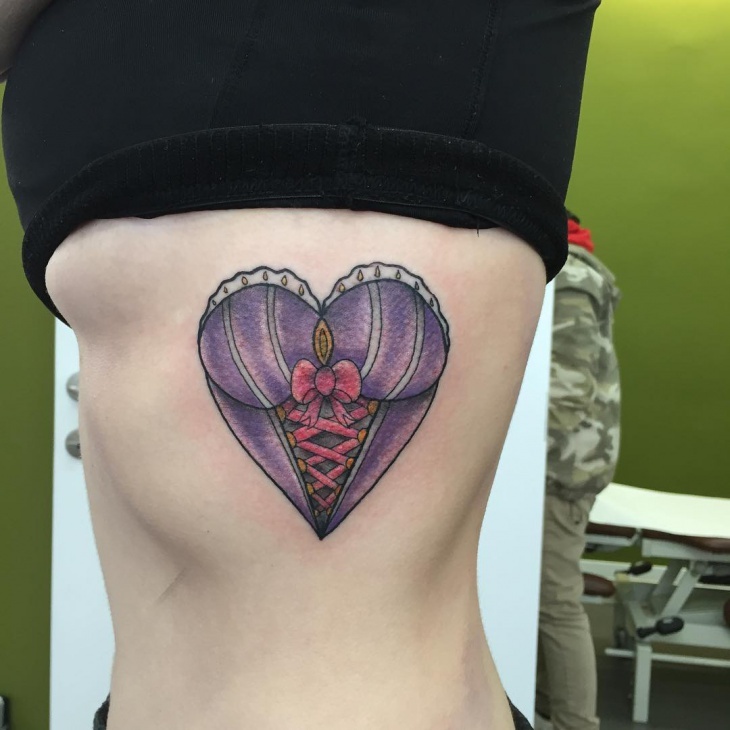 Corset tattoos are a way of flaunting the beautiful inner piece. They are in the form of a criss-cross shape. The top 10 designs that we found are in different forms of corsets, some look similar to the actual corset design whereas the others are designed differently to stand out. 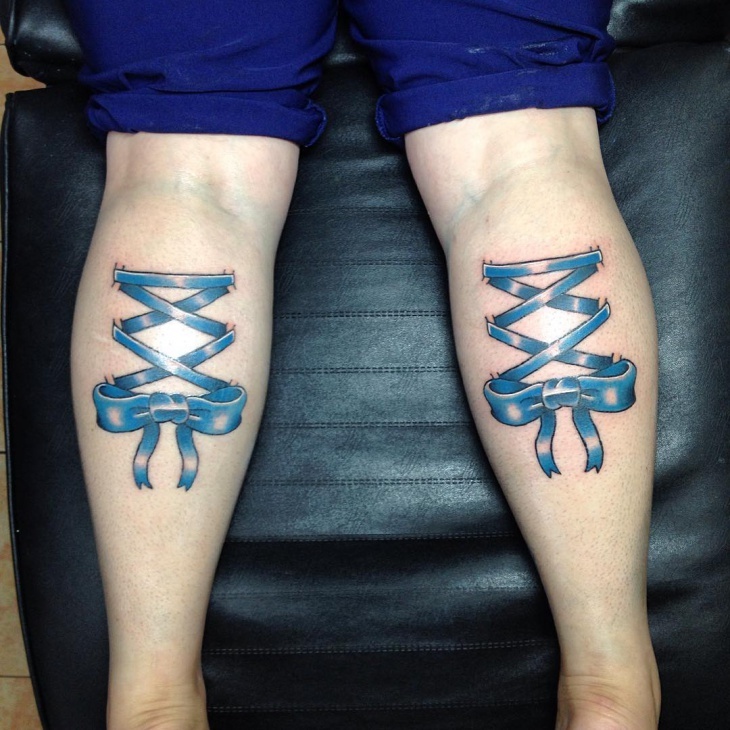 Some tattoos are in the form of a tribal design. Well, we sure are excited to explore more of these designs. So let’s look into these 10 designs and find out more. 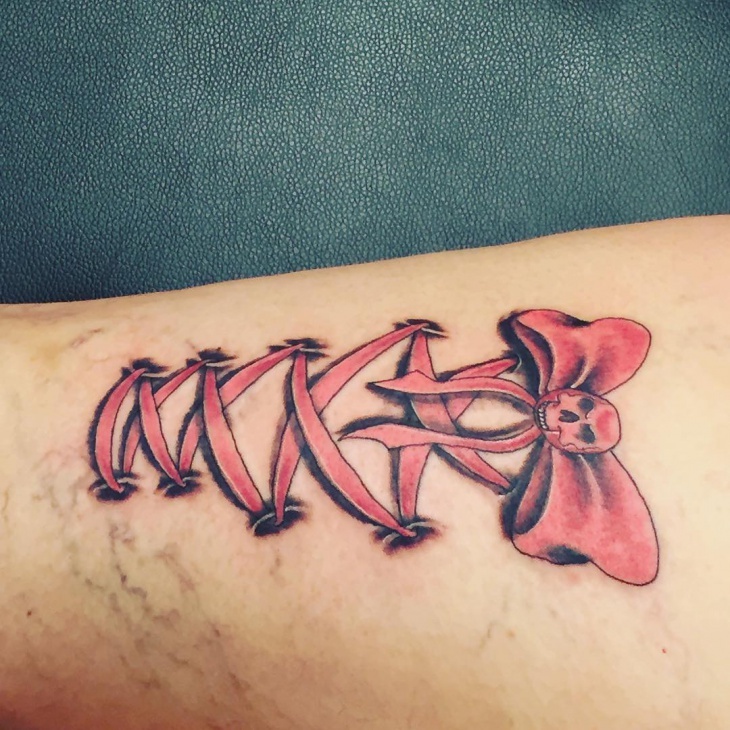 This beautiful corset leg tattoo unwinds into an adorable bow. 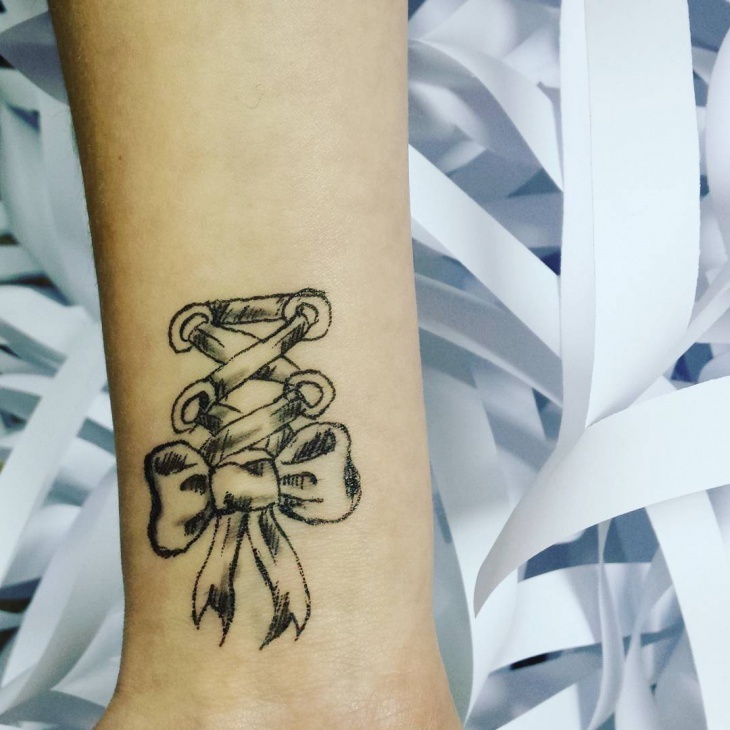 There is perfect shading given to it and it starts out wide and narrows down eventually, ending into a bow, which again is shaded and colored to perfection. 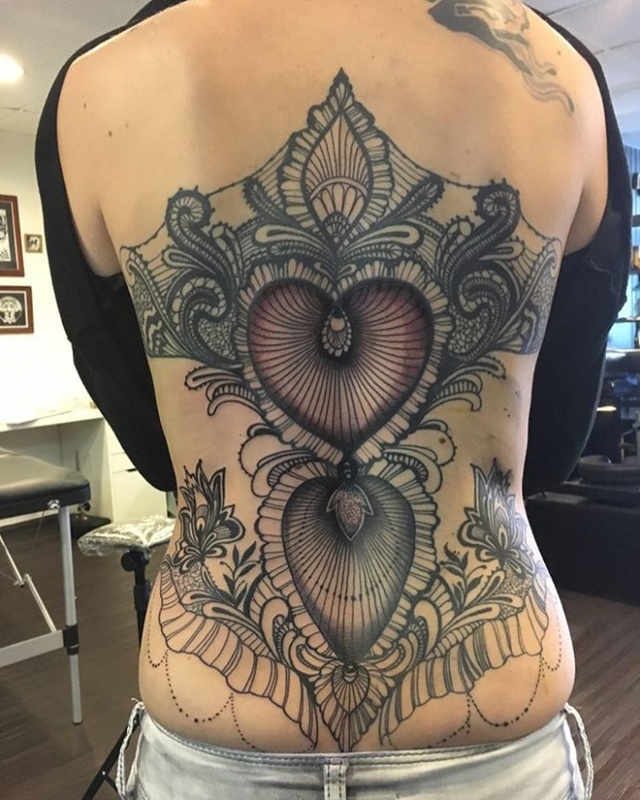 We loved the monochromatic tone of the tattoo. 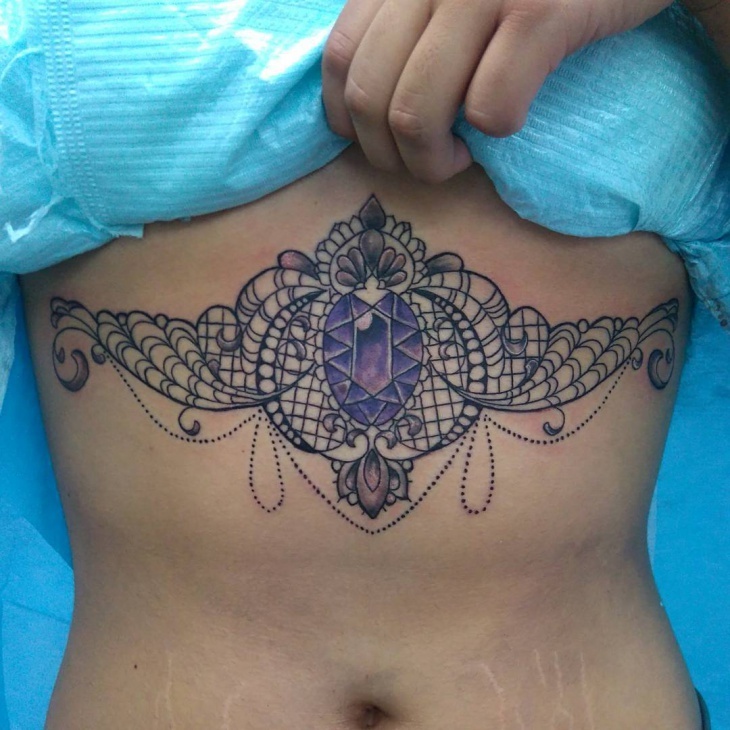 The elegance of this beautifully-done bold tattoo lies in the purple stone in the middle. The tattoo looks very traditional if you look at it closely. 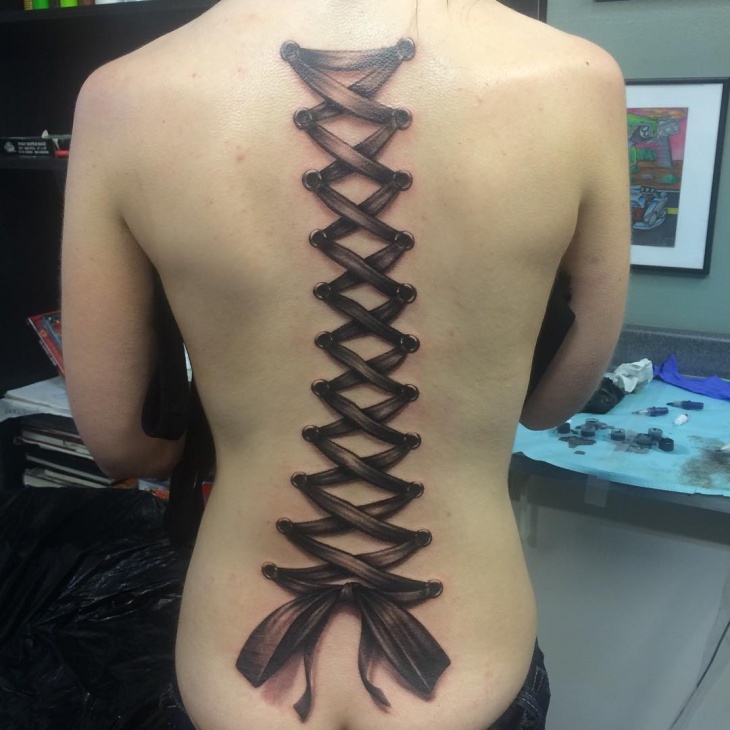 It looks like a combination of a corset and a tiara. But, we do love the purple touch given to it. This is a very plain and simple design but it is done really well. 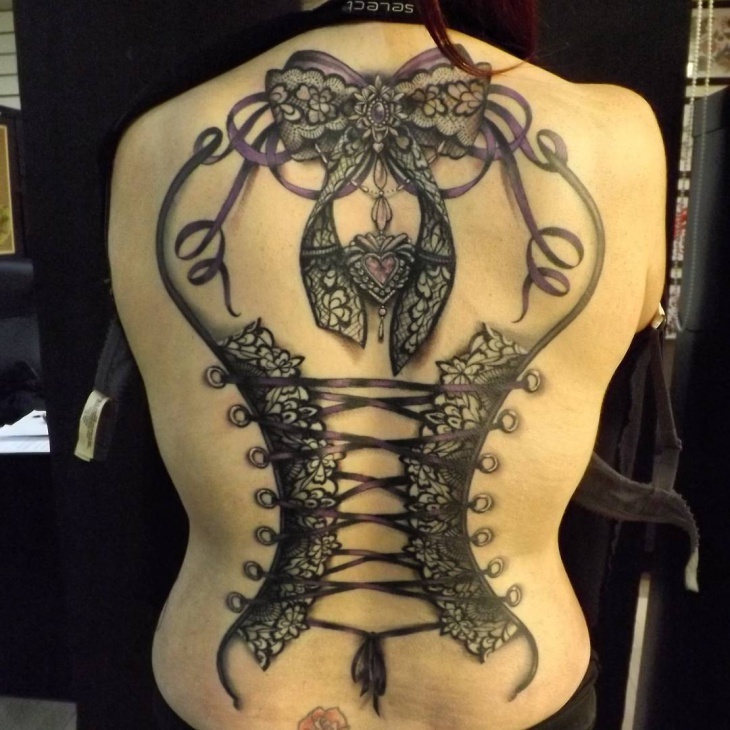 The design is bold and brings out the corset aspect very prominently. 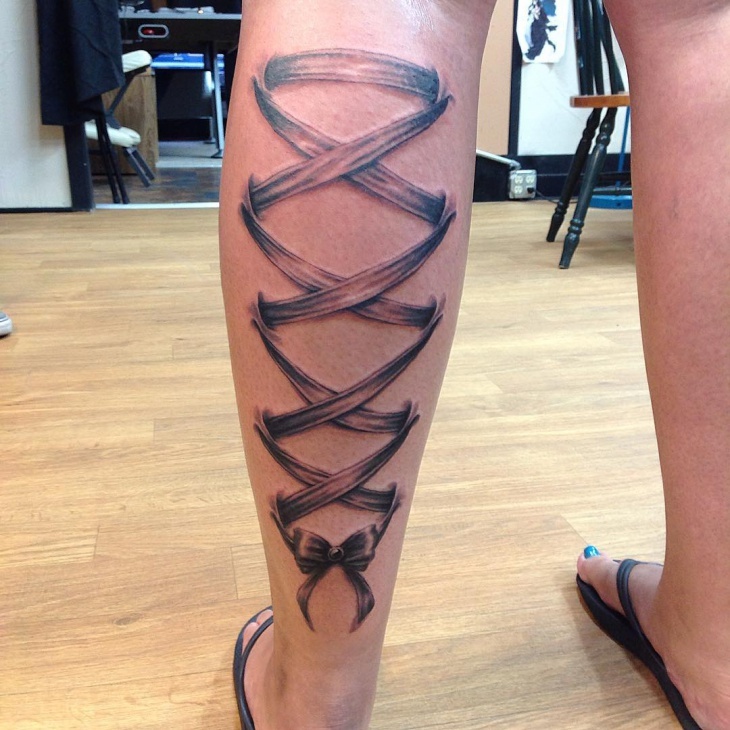 The bow, in the end, is done perfectly, the shading gives it a very traditional look but overall we love the simplicity. This bold and beautiful design looks ravishing. The red done onto it gives it a very eccentric look . 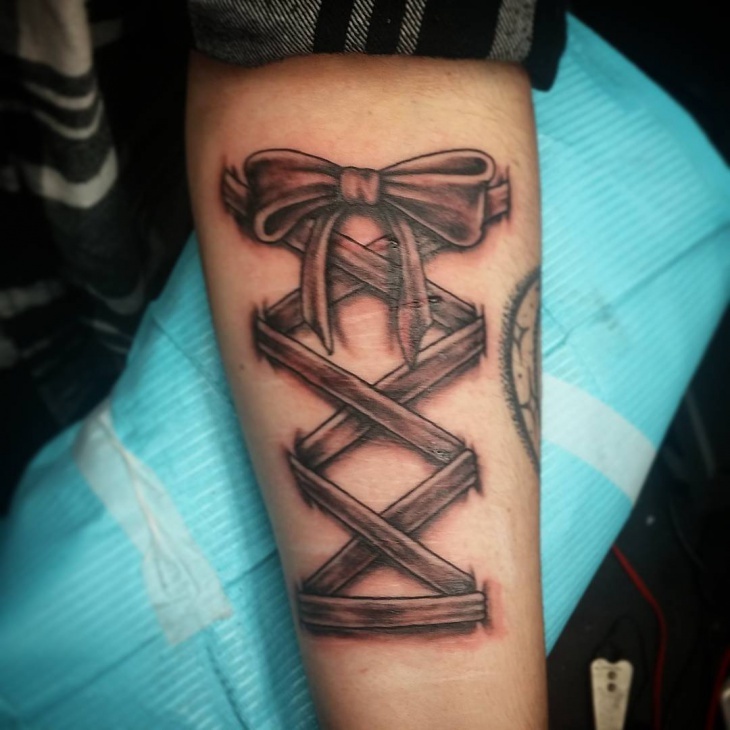 For a change, the ribbon is on top and overall the tattoo looks good. 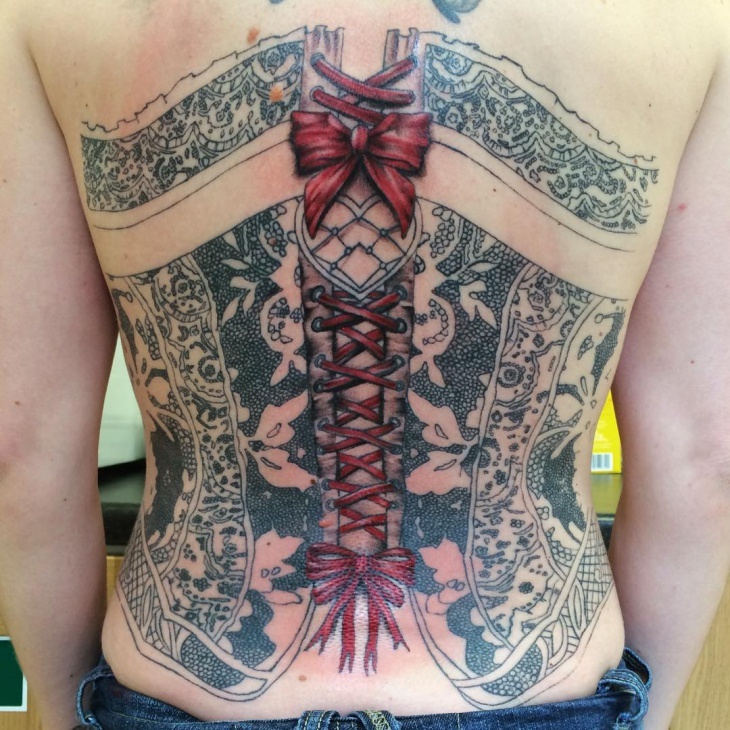 This is a perfect replica of how a corset would actually look. The color red looks perfect in the design. 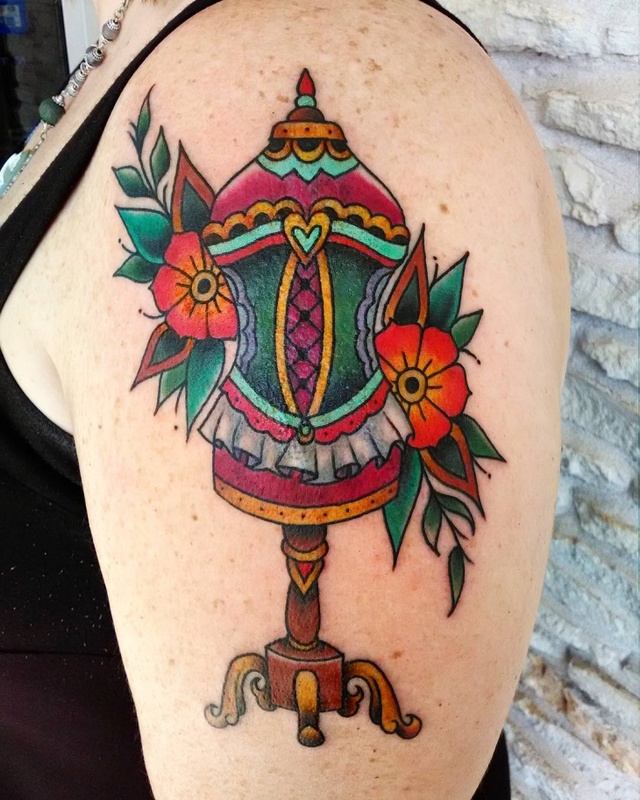 This might be one of your tradition tattoos but the bold red used makes it look very fashionable. 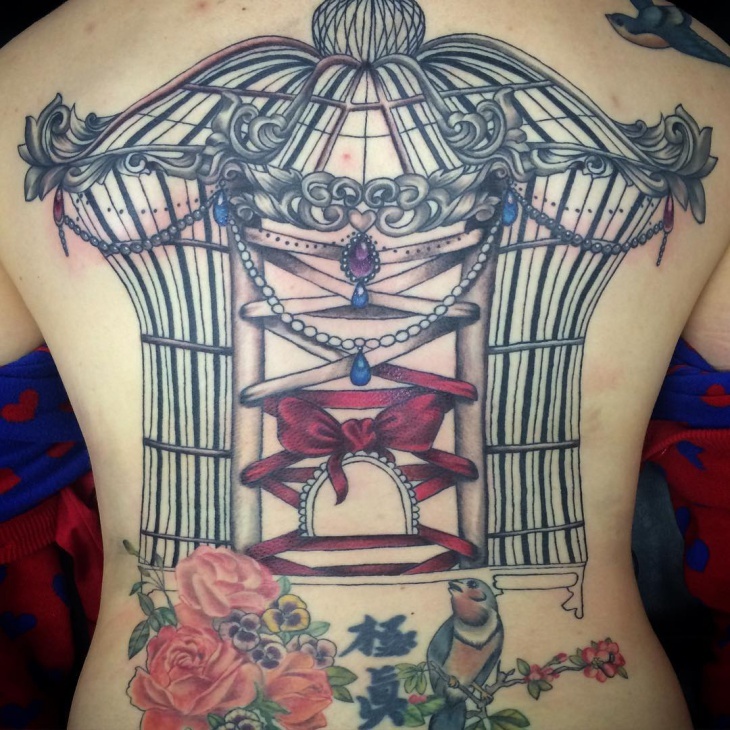 This corset tattoo that is in the shape of a birdcage is very elegantly designed. Not only is it elegant, but also it gives out a very royal feeling overall. This is a plain bold design colored completely in red. 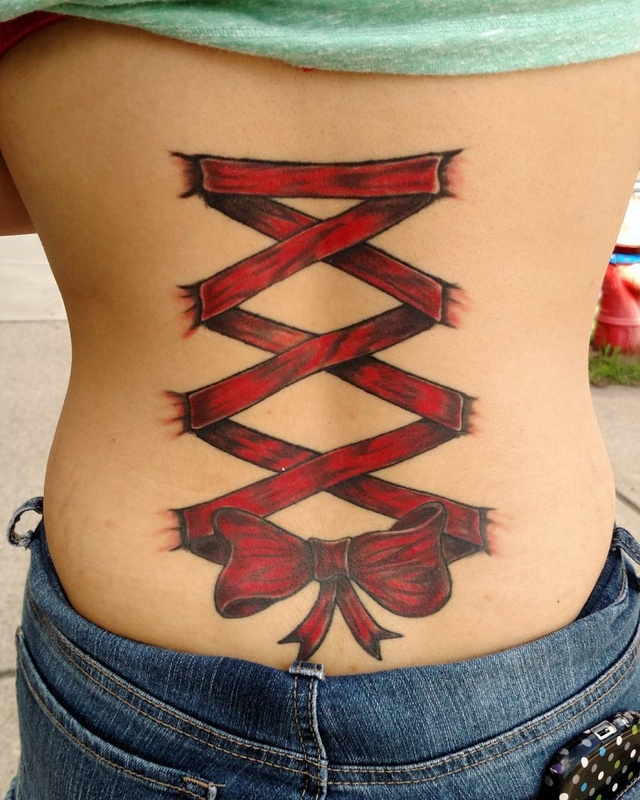 The red looks bright and radiating and makes the tattoo look bright and lighted-up. The extra shading done on the sides is different and looks nice. 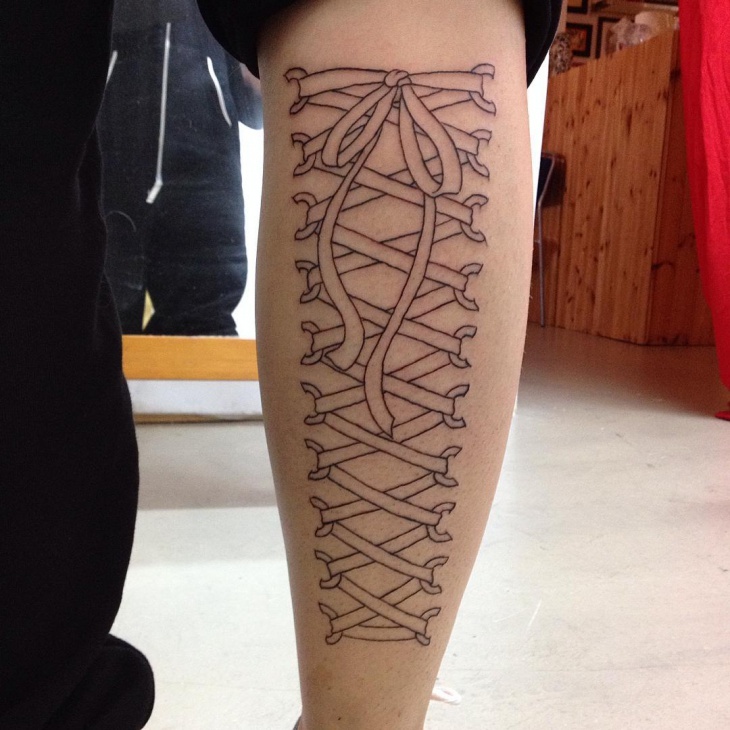 This tattoo design covers up your entire leg. 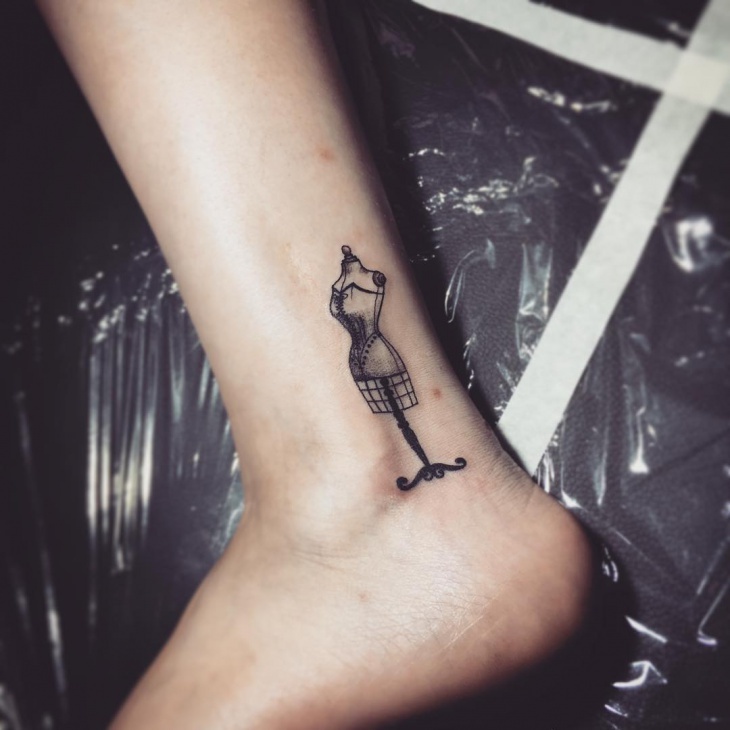 There will be heads turning to look at this particular tattoo. The overall design might look plain but if you get into detailing, you will notice that it is a very finely done design. We love the green; it provides a break from the usual red and black colors, often used in tattoos. Corsets have been used since a very long time and have never run out of fashion. 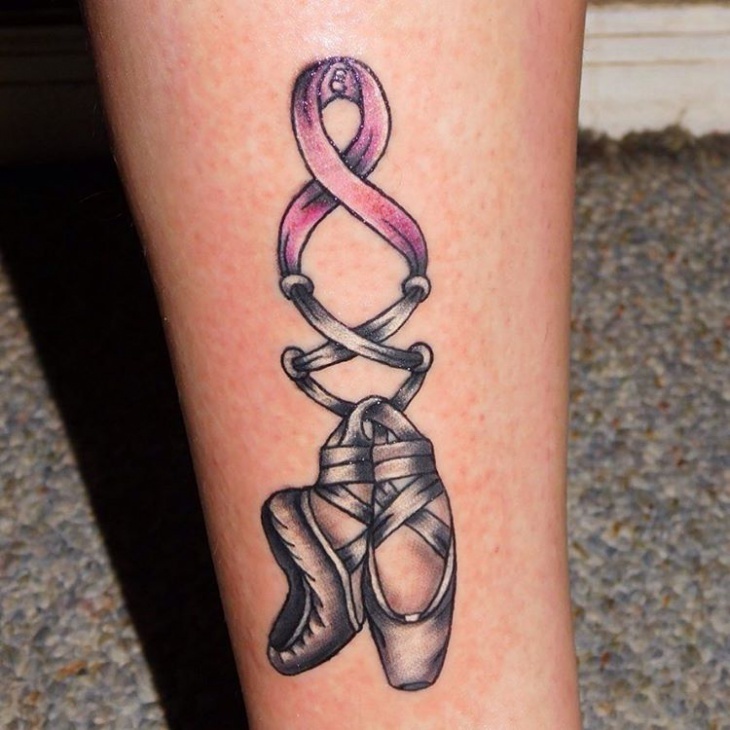 A tattoo of this sort only makes it more lively and prominent. This is definitely in fashion and you can see how you can get them done in so many different ways.